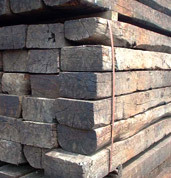 1000's of Railway Sleepers. 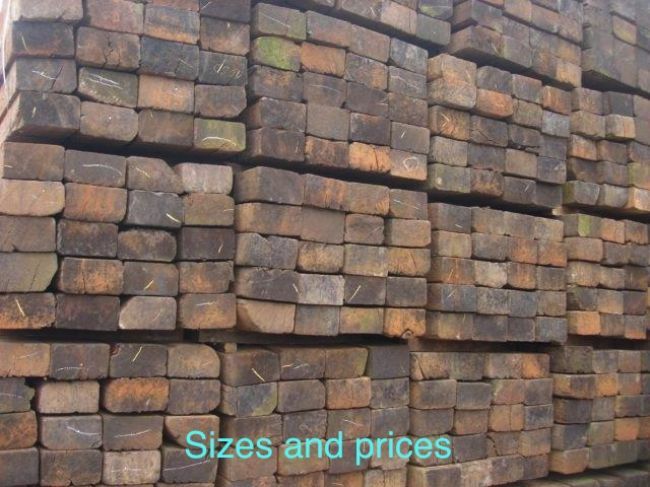 NEW & USED Railway Sleepers for landscaping & building. 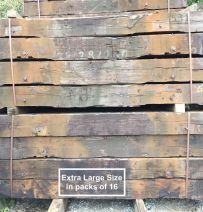 It's the WORLD's largest project collection of RAILWAY SLEEPERS! 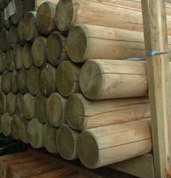 DELIVERY of RAILWAY SLEEPERS throughout the UK. 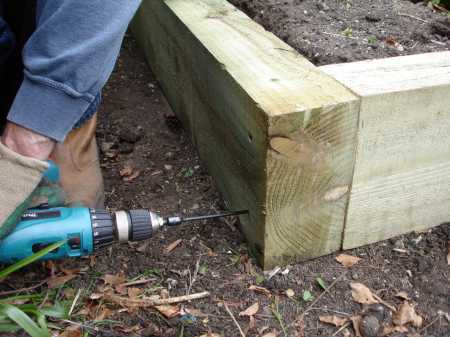 Are railway sleepers always treated with Creosote? 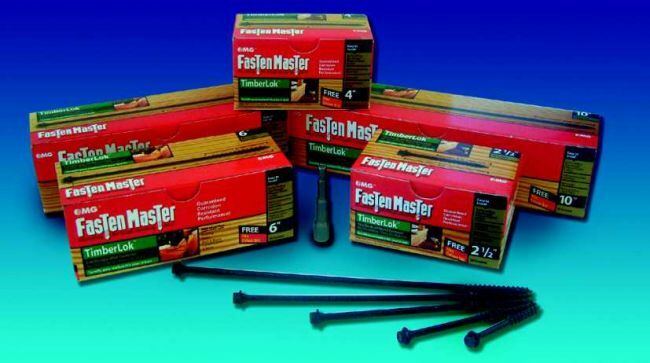 How can you fix railway sleepers together? Bolts? 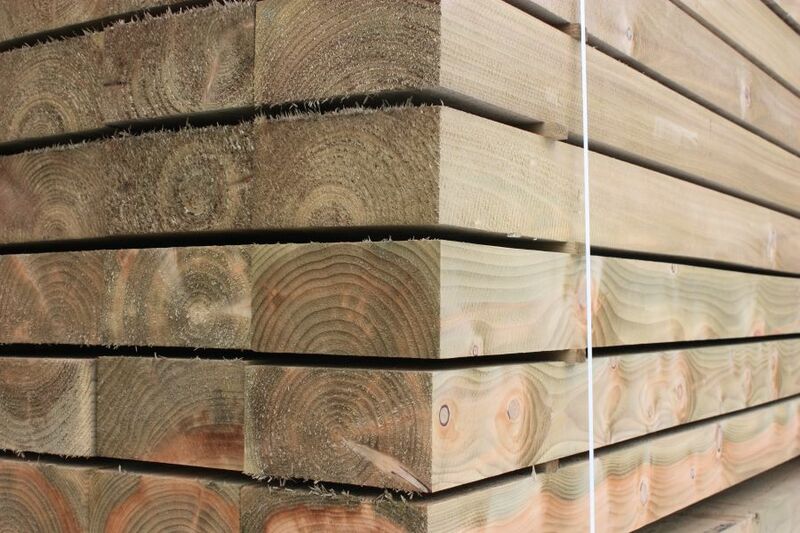 Can you deliver railway sleepers throughout the UK? It's the LARGEST project collection IN THE WORLD! 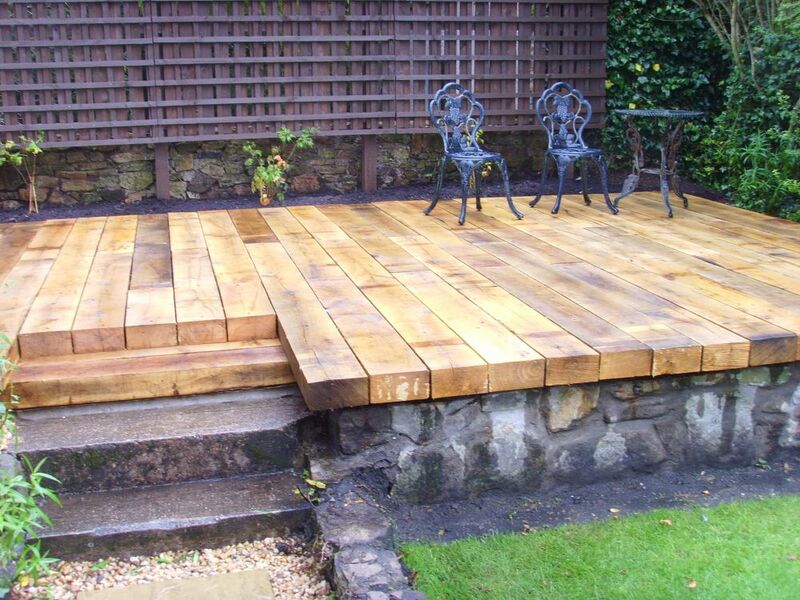 "Thanks for the excellent website full of ideas which is leading to a possible project with railway sleepers. 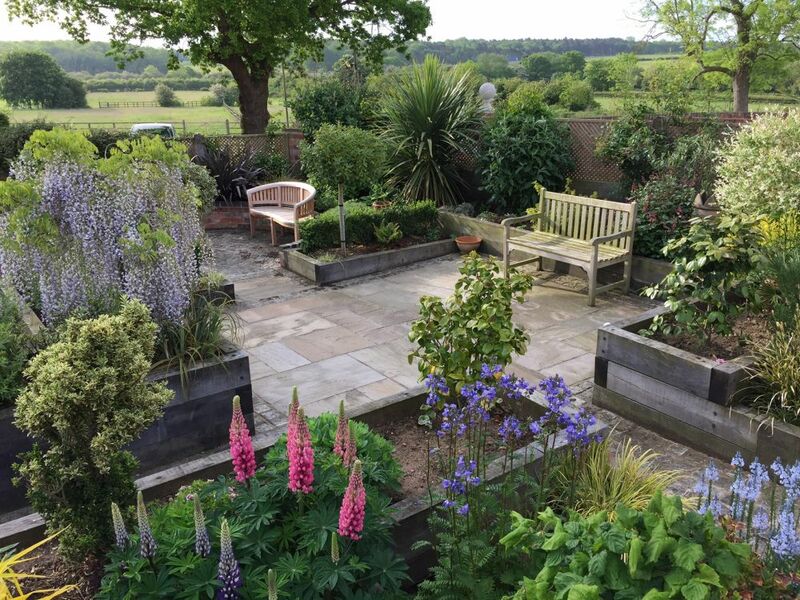 ..."
WE ARE PASSIONATE ABOUT RAILWAY SLEEPERS, and this website reflects our desire for EVERYONE to use railway sleepers for landscaping, construction, & furniture etc... 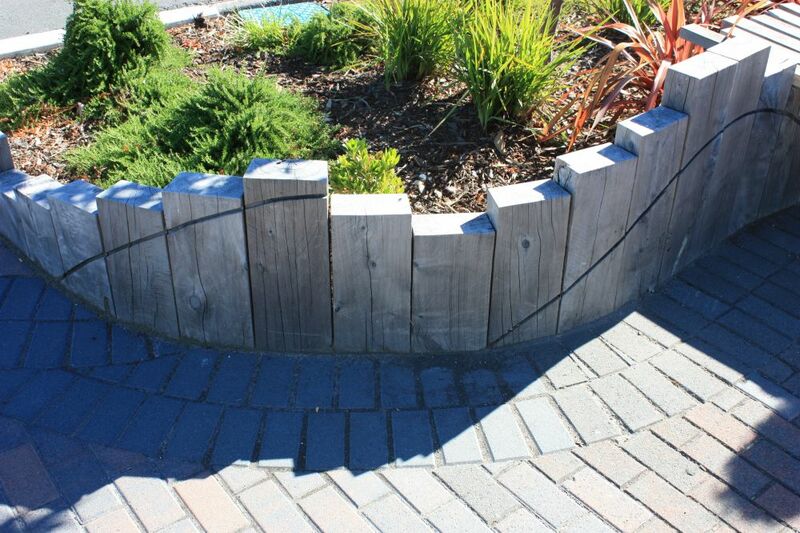 There's EVERYTHING here that you would ever need to know about railway sleepers! 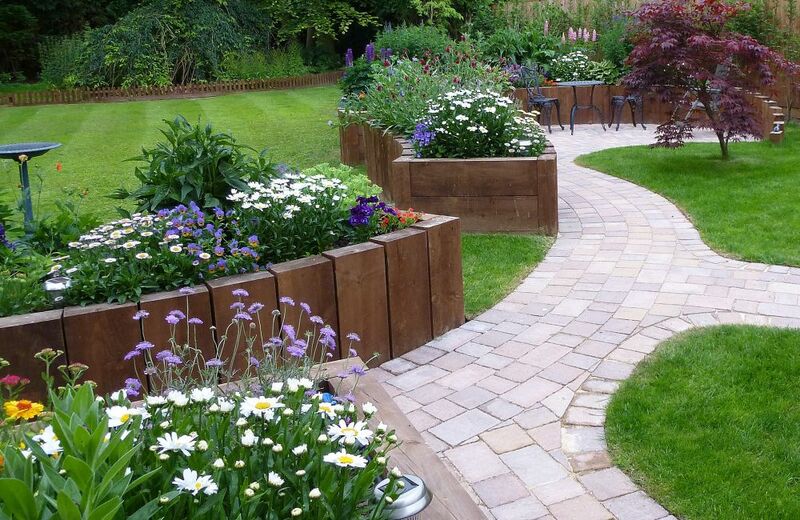 Whether you are planning a raised bed, retaining wall, raised pond or some steps in the garden, you will find that railway sleepers are brilliant to use. 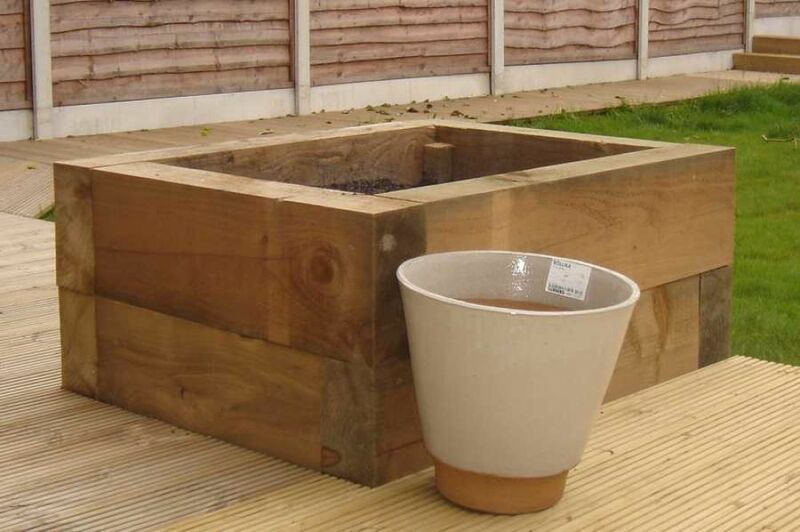 Whether you are building a fireplace, coffee table, garden bench or simply a set of shelves you will discover that railway sleepers have the answer to all your creative dreams! 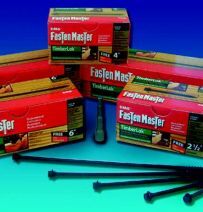 Whether they are new or used railway sleepers, softwood or hardwood, untreated or treated, short or long, light or heavy, oak, pine, jarrah, azobe etc.. there will be at least one railway sleeper that fits the bill! 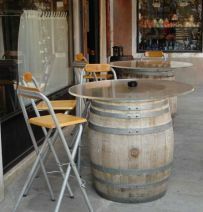 And YES, we have 1000's in stock & WE LOVE THEM !! 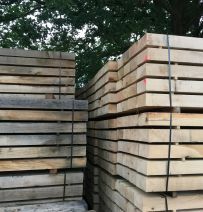 Some might say that this makes us a little obsessive, especially having recently built the largest railway sleeper projects collection in the world, but we are proud to say that we equally care about our customers & faithfully supply our railway sleepers throughout the whole of the UK. Please help us spread the word! 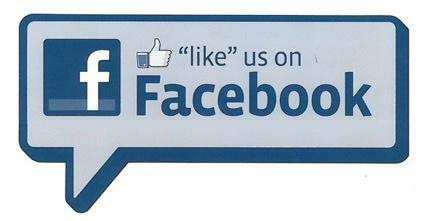 If you've found our website helpful or inspiring please 'Like us' on Facebook. 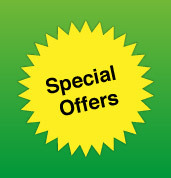 A simple way of saying to others: 'This is a really useful website!. Thanks a lot. PUBLIC WARNING!! THIS IS YOUR LAST CHANCE!! 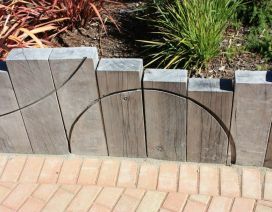 Planning a project with railway sleepers can be amazingly exciting, as you turn your creative dreams into reality. 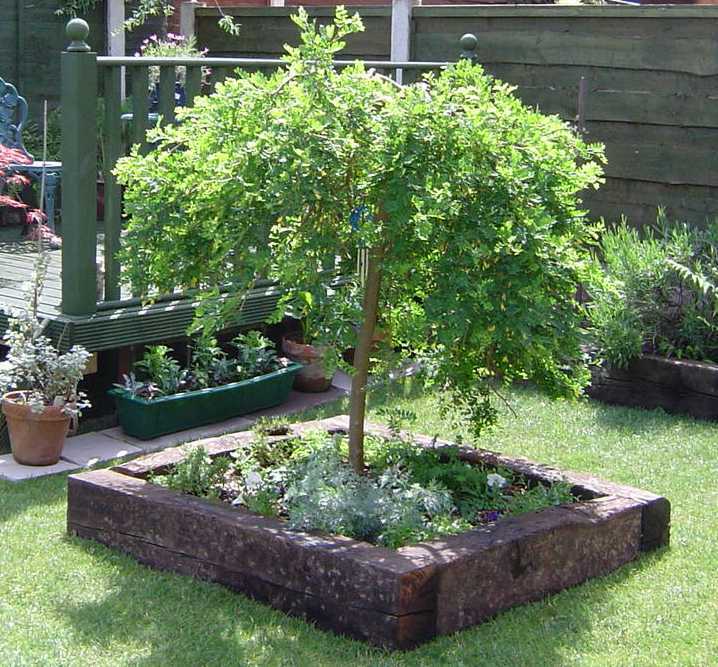 We offer on this website a wealth of ideas, tips & photos on how to use railway sleepers! 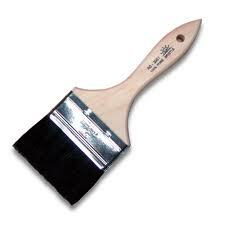 But a word of warning. The more involved you get in your project, the less time you'll spend on other parts of your life! 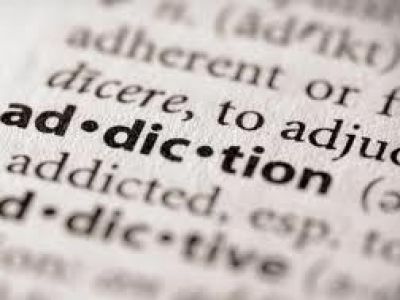 Soon you'll stop going out, meeting friends, going to work, helping with children or the housework, getting dressed, & soon you'll only babble on about wonderful railway sleepers! DANGER!! 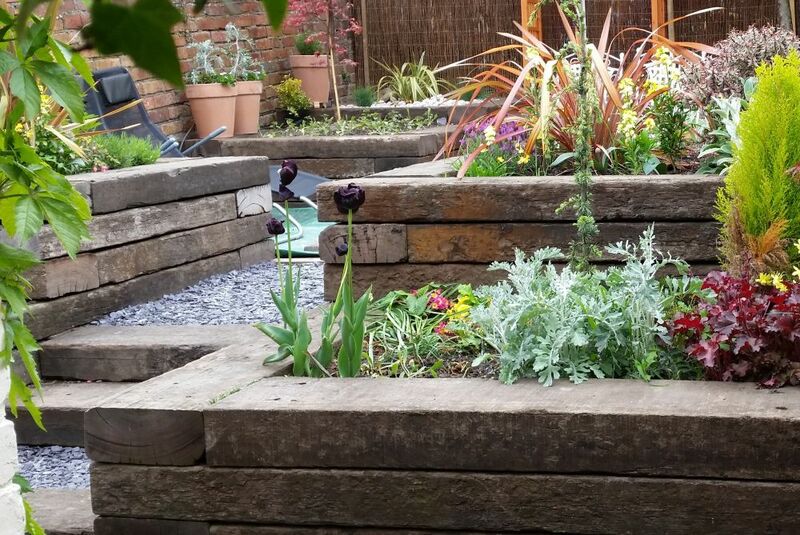 Planning landscaping projects with railway sleepers can be seriously ADDICTIVE! CAUTION! 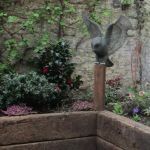 - You will probably spend endless hours on this website, as you investigate the world of railway sleepers & discover amazing new ideas & projects. You have been warned! NO LIABILITY! 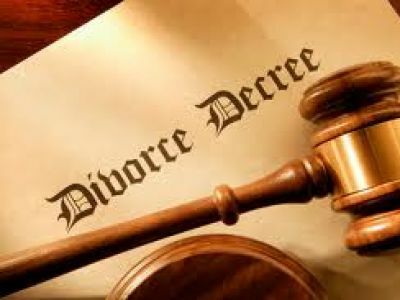 - We can take no responsibility for any loss of family, job, money or friends as you fall deeper into this fabulous world of railway sleepers. KEEP CLEAR! 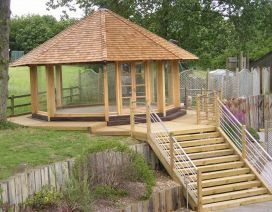 - Some have entered the railway sleeper Projects Pages and never been heard of again. PLEASE TAKE HEED ! 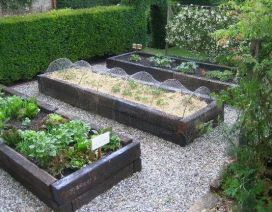 Want to build a raised vegetable bed? 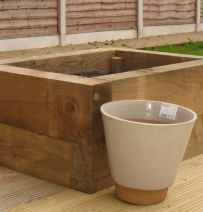 Raised planter? 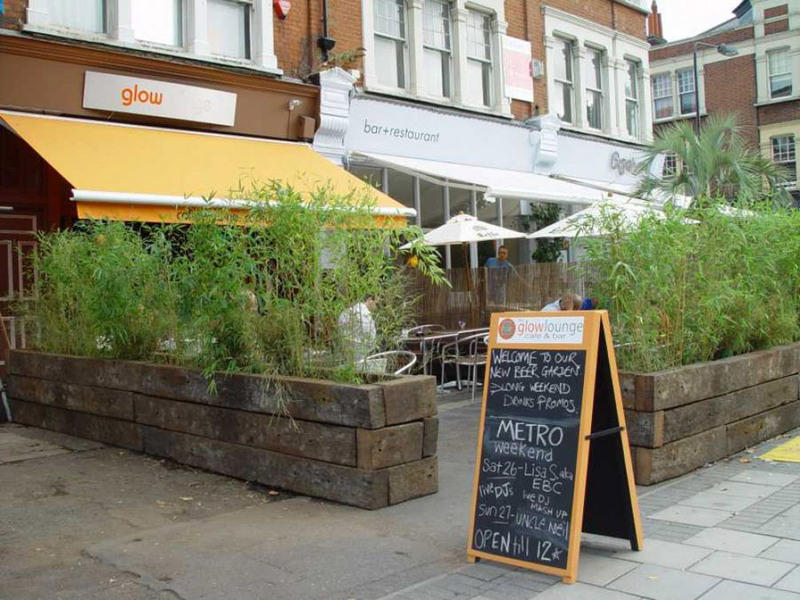 We've got 100's of raised bed projects using railway sleepers to browse through & get great ideas from. 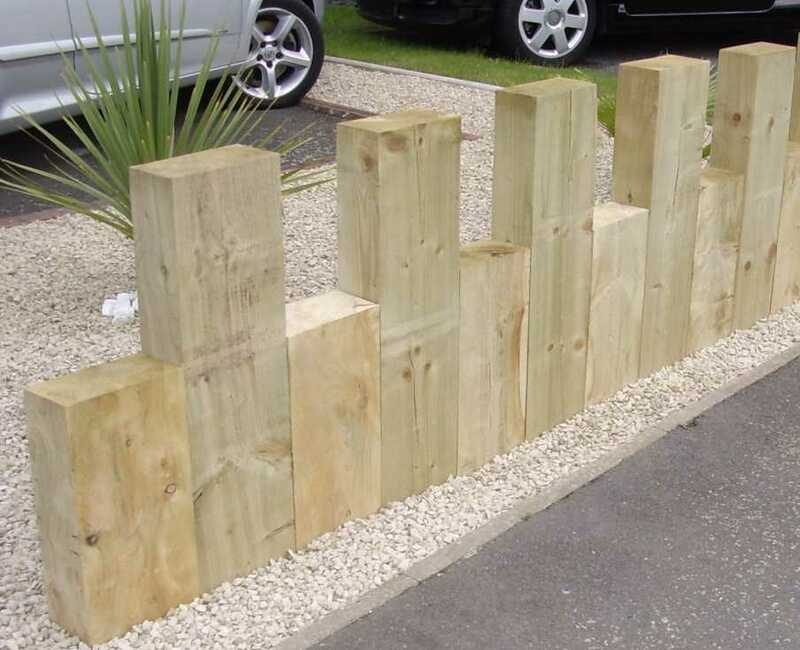 Railway sleeper retaining walls are great alternatives to bricks or stone. 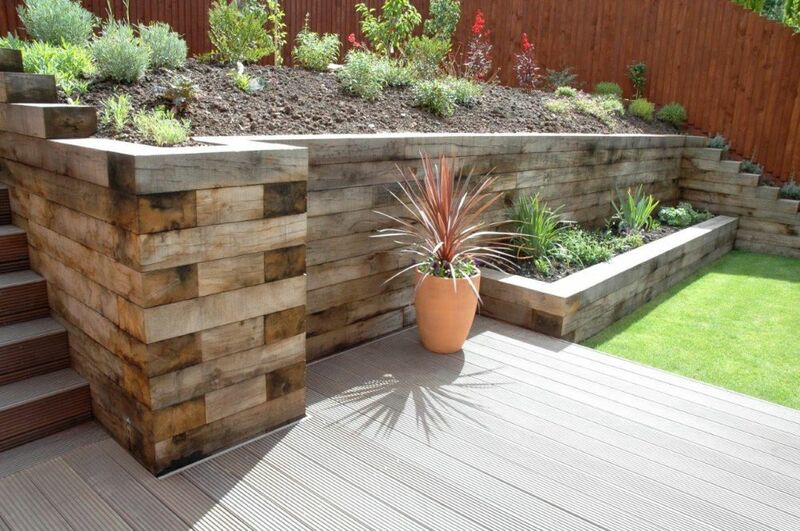 Unsure how to make a wall out of railway sleepers? 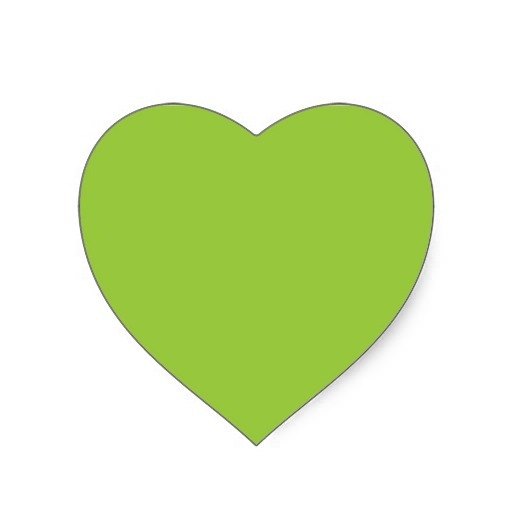 Check out these amazing projects! 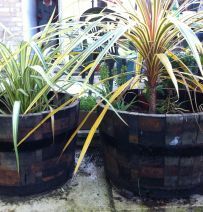 Creating a pond adds plants, fish & frogs, running water, dreamy reflections etc.. 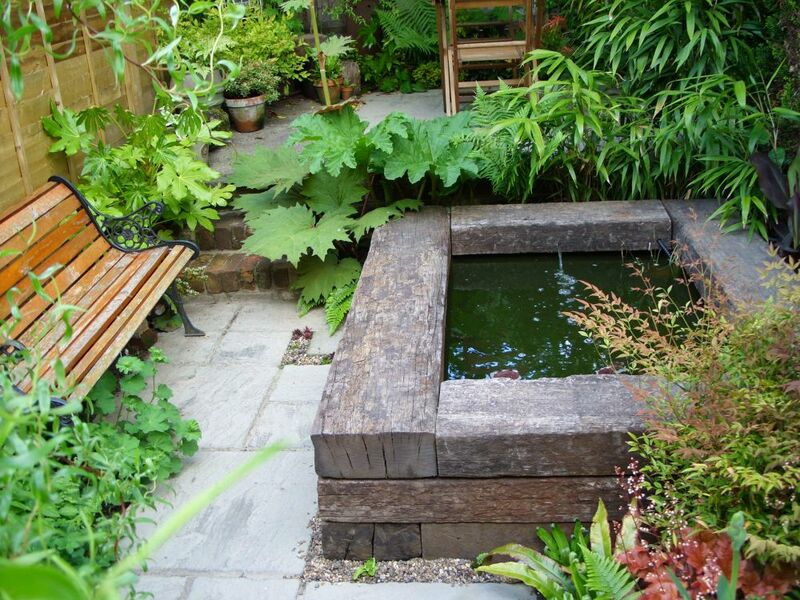 Here is a collection of wonderful ponds made from new & used railway sleepers.